The Woodridge has an enormous raised clubhouse with covered side porch and open front sunporch. 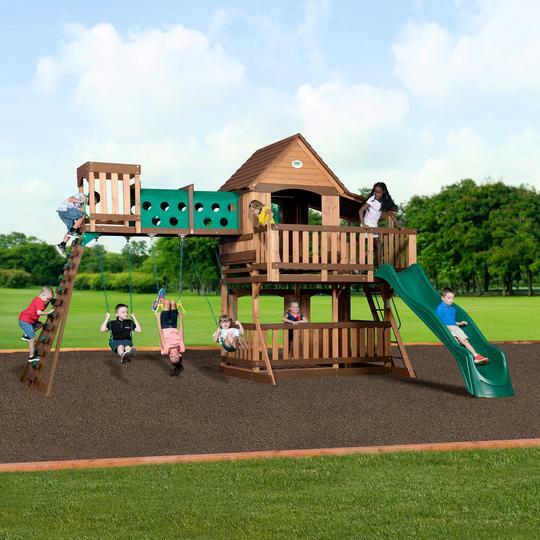 There's plenty of room for all to play on the top level, and they get there by a step ladder or a rock wall ladder that leads to a crow's nest and an elevated tunnel! Kids swing on two belt swings or a trapeze for some serious monkeying around. 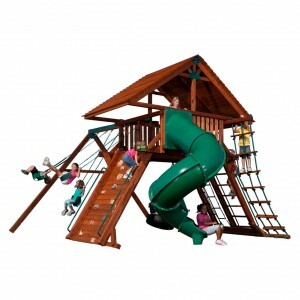 The 10' wave slide makes the Woodridge truly awesome! 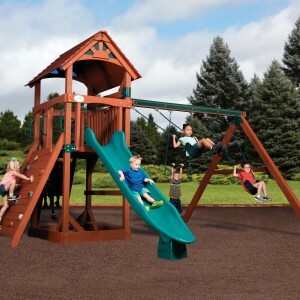 This is a fantastic swing set that will last for years. Made from 100% cedar wood that is pre-cut, pre-drilled, and pre-stained for ease of assembly. The Woodridge has an enormous raised clubhouse with covered side porch and open front sunporch. 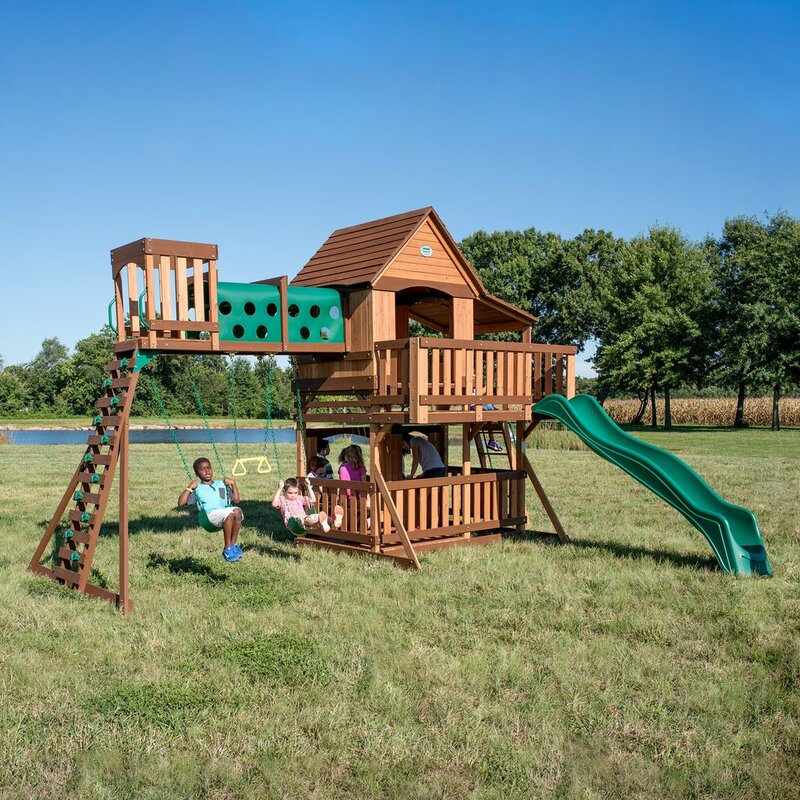 There’s plenty of room for all to play on the top level, and they get there by a step ladder or a rock wall ladder that leads to a crow’s nest and an elevated tunnel! Kids swing on two belt swings or a trapeze for some serious monkeying around. 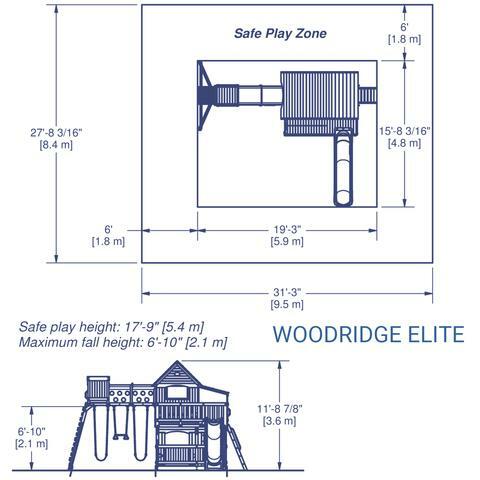 The 10′ wave slide makes the Woodridge truly awesome! 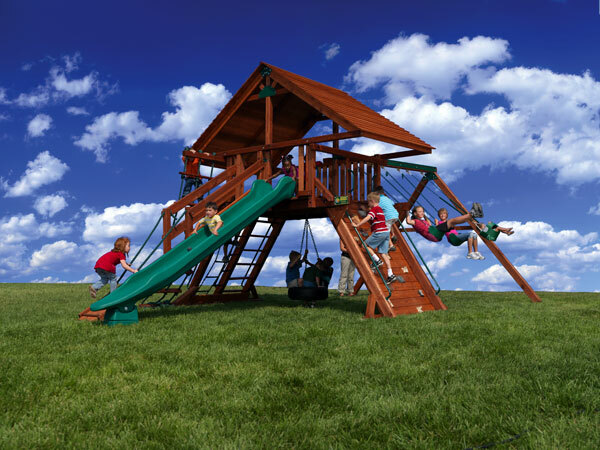 This is a fantastic swing set that will last for years. Made from 100% cedar wood that is pre-cut, pre-drilled, and pre-stained for ease of assembly.